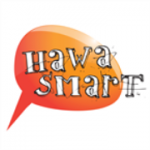 Hawa Smart live broadcasting from Damascus, Syria, Providing national news and Arabic talk. The radio station belongs to Syrian Arab Republic and they are also one of their popular radio stations. Hawa Smart has been a passionate radio station when its about Arabic talk shows, they are the radio which probably arrange the best kind of socially impact full radio programs.